Facts of Finland — Motorcycle Adventures on The Globe! FINLAND IN NUTSHELL... SOME BASIC FACTS! Finland (Suomi as we call it here), is a Lakeland country with less than 6 Million inhabitants and more than 40,000 islands and 180,000 lakes. Finland could also be described as "the country with thousands of forests". About 70% of the land area is covered by forests, which means also, that Finland is the no1 country in Europa covered by forest compared to the size of the country! Forest area is larger than the whole United Kingdom. Forests and lakes are also home to thousands of species of animals and birds: the brown bear, nicknamed the "king" of the Finnish forest, the rarest seal in the world, the superb Eurasian lynx, and of course the famous reindeers of Santa Claus. 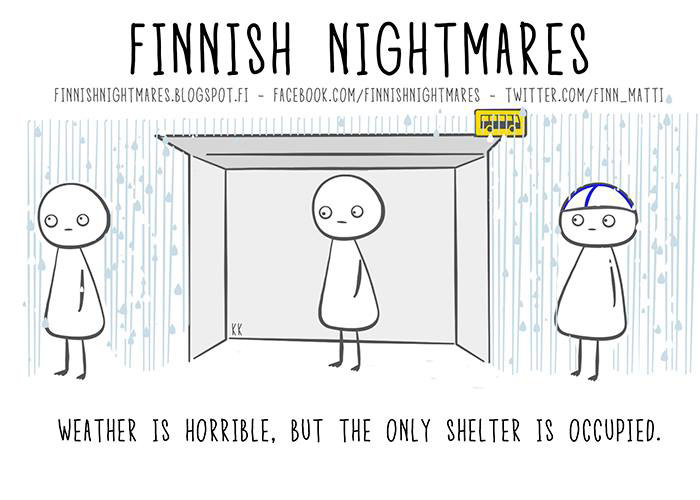 Finland is still one of the few countries in the world where you can feel safe at any time of the day or night. It is also a country where you can breathe clean air! The cleanest air in Europa! 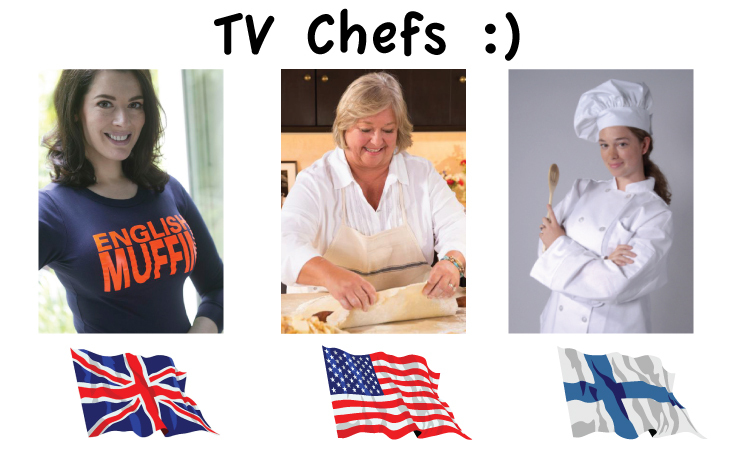 Finland is also home of Santa Claus, Sauna, Angry Birds and Kimi Räikkönen! Visit Finland, be surprised and freely fall in love with our beautiful country! Finland is a country of 338440 km², making it the sixth largest country in the European Union. Limited to the west by Sweden, to the east by Russia and to the north by Norway, it shares 2628 km of land border with its neighbors, the littoral border with 1126 km. Finland is located between the 60th and 70th north parallel like Alaska! One-third of the country known lies beyond the Arctic Circle. Finland is a Republic which proclaimed its independence in 1917 after the Swedish and Russian dominations. Today the population of Finland is 5.6 million inhabitants and since 1812 the capital of the country has been Helsinki. Paper, pulp, sawmill, metallurgy and mechanical industries have traditionally been the backbone of the national economy, but in the 1990's these industries have given way to electronics in the wake of Nokia mobile phone company. International trade is particularly important for Finland; In 2011, exports accounted for 39.1% of GDP, with a 4% growth rate per contribution in 2010, with imports accounting for 39.6% of GDP. Finland's main partners in international trade are Sweden, Germany and Russia. The exports to Great Britain was 4.1% and import 2.4% from Finnish trade in 2016. The long, clear nights of summer is a big natural phenomenon in Finland and whole Scandinavia. The midnight sun is at its maximum intensity in June and July, knowing that the further north you go, the longer the sun will stay above the horizon and the higher it will be during the night. In Lapland, the north part of Finland, Midnight Sun is a reality from late May to early August. Even the all Finns do not know, that over two third of world's populations living under the midnight sun are Finnish. In north Lapland, the sun remains over the horizon more than 70 nights in a row! It is bit like Las Vegas. You don't really know what time it is! Sauna is such a big part of Finnish culture it can’t be compared to anything else. 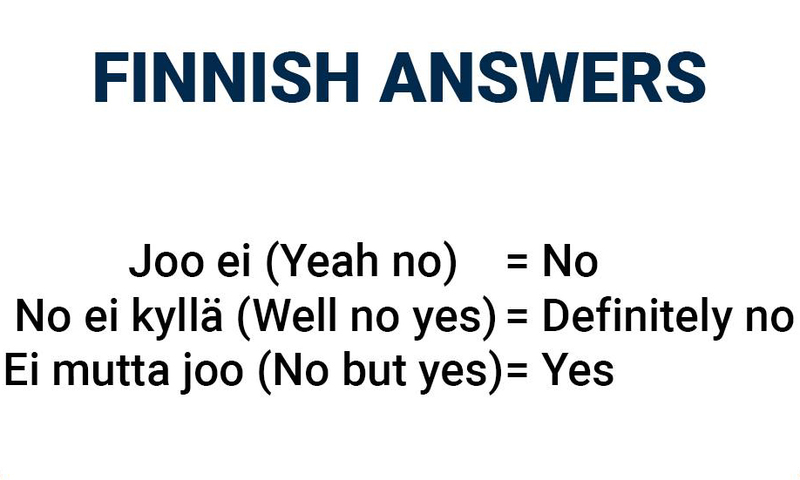 For Finns, it is a must at regular intervals, and if they go too long without sauna, they’ll start feeling incomplete. For centuries, it has been a place for physical and spiritual cleansing, for getting bare in all senses of the word, and entering the core of humanity. Sauna is a way of life in Finland – toddlers take their first turns in sauna at only a few months old, and from then on, never stop. Sauna is a living part of any Finn. Sharing a sauna with someone is about bonding, about discussing real issues – no small talk. In Finland, major decisions get made in saunas, not boardrooms. Throughout history, there has been no Finland without sauna. Have a look at the slideshow on Visit Finland'spages to see how sauna is present in Finnish countryside life. 10 FACTS of SAUNA for BEGINNERS! 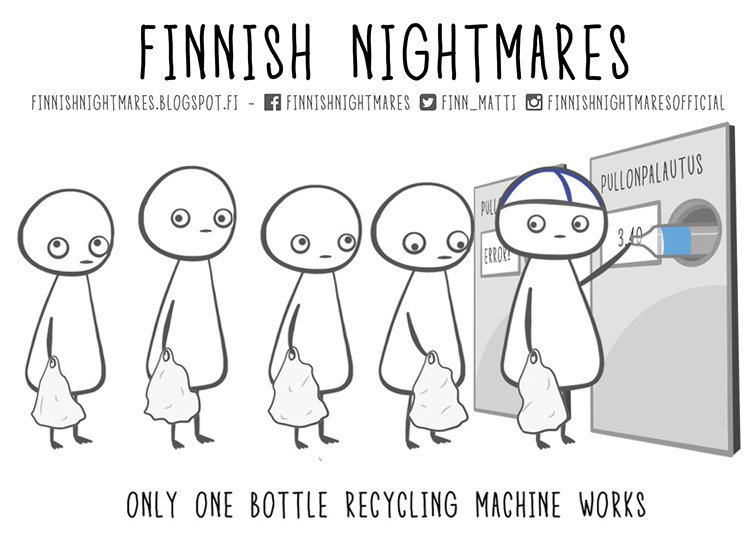 Everyone here knows that the true and original Santa Claus is Finnish. Even though the address of his private residence at Mount Korvatunturi in Lapland is kept secret, his official residence is in Rovaniemi, where the red man welcomes his visitors all year round. Even if Santa Claus only travels to visit the children once a year, the rest of the time he is always delighted to welcome you at his home and to make you visit his place of work. This visit will also allow you to get to know Rudolph, the reindeer of the master of the house! One of Santa's most important tasks is to read the letters addressed by the children. The Post Office of the Arctic Circle receives more than half a million letters each year for Santa Claus, this from the whole world! The famous man in red is always answers all his correspondents, if they have written their address! If you're dying to meet Santa Claus and his jolly sprites, to thank him directly for the gifts you've received, know that you're warmly welcomed to his official seat, a place full of mystery located on the Circle Polar in Finnish Lapland. On PeterPanBike's Midnight Sun tour we visit always Santa's office. In Finland, you can not drive a motorcycle all year round as in most other countries. This is the reason why Finnish bikers come out of the ordinary? The Finnish biker has two personalities, his behavior is very strongly influenced by the seasons. In winter one might think he is in hibernating mode. He a somehow like a robot. He is talking slowly... and talking only if someone is asking. But when the second weekend of February comes Finnish bikers wake up. It is time for annual huge Motorbike Show in Helsinki. Bikers come from every corner of Finland to Helsinki, days are getting longer and there is again hope in the life! When to snow is gone and temperature climes over zero, first bikes are immediately on the roads with a wide smile on their faces! The Finnish biker can almost feel the summer although the temperature is +1 celsius! When the temperature climbs to +10, Finnish bikers know that the summer has arrived and you can see bikes all over. At this moment bikers grow at least two centimeters and radiate like a midnight sun. They smile and forget that it is still fresh and that there might still be ice on the road. They are just happiest people in the world. And now they might talk even to strangers... and even English if a foreigner comes and ask something about his or her bike! The number of 'bad guys in leather vests' among bikers is very small in Finland. A regular Finnish biker can be whatever in the work-life; student, employee, manager, entrepreneur, civil servant, company director, politician, pensioner and so on! There is no profile type, each is different and has their own lifestyle. And these people would never meet if they did not all have the passion for motorcycles. Differences disappear when they put their driving suits on!